Although widely employed within the Architectural Heritage conservation process, Information and Communications Technology (ICT) techniques still present many serious issues for the discipline. Current research highlights a possible methodological approach to devise an ICT instrument that could support activities for Cultural Heritage conservation, while maintaining full respect for the specifics of the discipline. Reviewing current ICT and Architecture Engineering and Construction (AEC) applications, it is possible to note that the proposed approach is at the moment reversed: modelling does not arise as the projection of a future object, but rather from the knowledge needed to represent an existing site as accurately as possible. The proposed goal, reflecting the operative methodology of the conservation process, seems to offer a greater range of representativeness and to resolve, at least, some of the critical topics that have arisen from the application of ICT to Cultural Heritage to date. The importance within the conservation process of recording building information is required above all by the inherent features of cultural heritage, namely: cultural value, uniqueness, unrepeatability, and non-reproducibility. These features refer entirely to extant historical buildings, determined historically in close relationship with the physical context (Benjamin 1936, p.8). Issues arise from the specific characteristic of historical architecture that may not be considered a single creation, but rather an open work resulting from complex transformations built up over time through an involved interaction between man and nature. An open work occurs where many interpretations have taken place, and many different experiences of the world have been represented (Eco 1962, p. 45) either in a visible or non-visible form. This raises the point that an accurate interpretation of the work must take into account its specific historical nature, and thus operate on two levels – concerning both that which is visible, and that which is not. The visible geography of the architectural organism relates to its exterior physical characteristics, and are clearly defined by surveying. By contrast, the non-visible geography is oriented to the hidden items belonging to a more heterogeneous category that includes both concrete media and abstract concepts. The concrete media are the inner physical elements, which are not able to be recorded by a mere survey, and instead require more sophisticated activities such as diagnostic analysis and interpretation. The abstract topics deal with historical and cultural items. They pertain mostly to the building’s historical existence, where it displays the sign of aging over time. In other words, the transformations it has undergone, all the information sources that have documented those changes, and the cultural context in which they occurred. Also it is possible to include, among the abstract topics, other cultural meanings that may be also attributed to architecture, which can justify the different design choices. For instance, those that have arisen from an aesthetic, economic, or functional point of view. 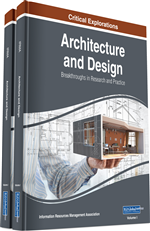 Indeed to achieve an exhaustive knowledge of architectural heritage is a complex process, and multiple attitudes and disciplines are required. A very careful and analytical approach is also required for recording physical characteristics – either architectural features or material quality and condition. Such issues occur specifically through the aforementioned direct investigations, which are carried out directly on the building. In current times such investigations are being developed using increasingly advanced technologies, and mainly focus on geometric and architectural surveys and diagnostic activities. In addition to these analytical studies, a more interpretative endeavour is required when carrying out indirect investigations, focusing most attention on the non-visible geography of historical architecture, specifically referring to those topics that involved the building’s ongoing existence and helping to deepen knowledge about its cultural traits. Such an approach could pertain, for example, to bibliographical and archival research, or to studies on building techniques, plant typology, or architectural language. Furthermore a third work phase is required to achieve a thorough pre-planning assessment. This consists of a synthesis of all investigations, developed through a significant critical point of view, which is able to take into account the heterogeneous results provided by the different investigations. Such a broad investigation is necessary, for both professional and cultural reasons. The professional motivators are concerned specifically with conservation planning – namely with knowledge of the building and the major risk of the intervention betraying the building’s architectural identity and authenticity (Fiorani 2014 b). In addition to study and profound comprehension, recording also plays an important role, since it helps give an appropriate direction to conservation planning, management and appropriate decisions for use (Icomos 1996).